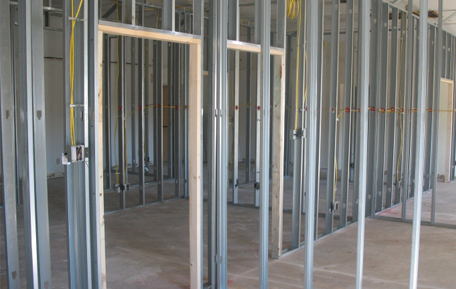 Lind Brothers Construction performs both interior and exterior steel framing. Whether your needs are structural or interior, Lind Brothers Construction has the experience to get the job done right. Provide interior finishes such as normal whiteboard, fire-resistant, mold-resistant, etc. We understand drywall requires expert craftsmanship so we take pride in our work and go the extra mile to ensure the job is performed to the highest quality. Experience in all aspects of acoustical ceiling tile installation projects. We offer carpentry services to meet all of your construction needs such as doors, frames, and hardware.